HTML5 went big in 2012, but how are things looking for 2013? With some high profile moves away from HTML5, is the Internet’s darling fading or just getting started? Plus where to start with game design, playing the app store game, and do we hate Firefox? 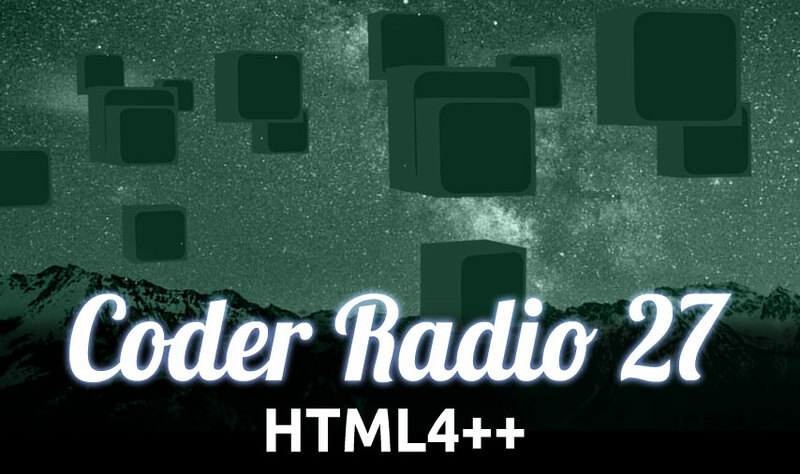 And much more on this week’s Coder Radio. A web developer wants to know why we hate Firefox and sees a trend for web devs to focus on webKit. So, here is where I am really stuck. How do you sit down and design something like a game? What tips would you give for actually laying out the design of the code, and the UI that you need? I come from a heavy web background, and have been doing mostly procedural languages for the past 10 years. I have the training in OO, but haven\’t been using the skills. Charles wrties in to share Just Java 2 for AP Comp Sci students and does not recommend CodeAcademy.